There is always a good tee time when you live in Savannah Lakes Village. With two courses located in the community and a nearby third course at Hickory Knob State Park, residents have access to at least 54 holes of golf each and every day of the week. 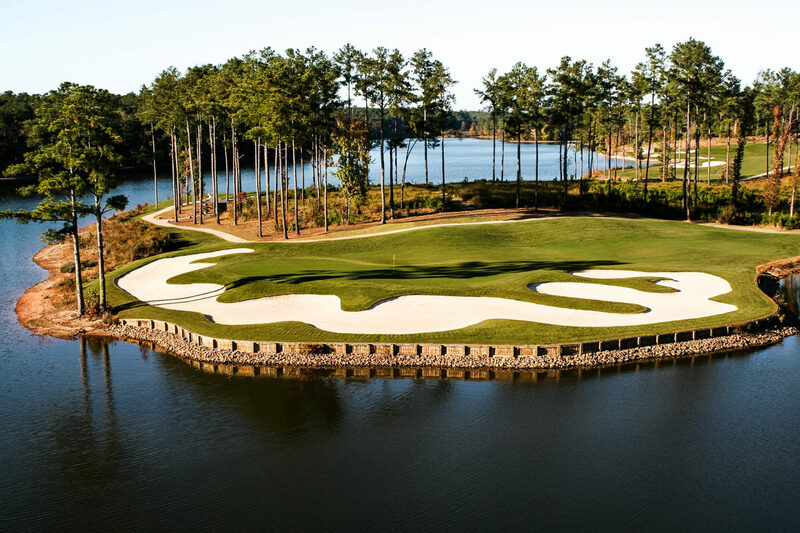 Each course utilizes gorgeous natural features of the forests, lakes and rolling topography, combined with challenging designs to provide a unique and memorable golf experience. Whether you are a novice picking up a club for the first time, or you have played through all the best courses in the country, you will quickly fall in love with the golf courses at Savannah Lakes Village. Savannah Lakes Village is home to the Monticello and Tara golf courses. Both 18-hole championship courses were created for golfers to enjoy views of the lake wherever possible. Golfers are encouraged to spend some time honing their skills at the practice facilities before embarking on these challenging courses. Those who own property in Savannah Lakes Village automatically receive a membership to both of these lakefront golf clubs. This allows homeowners to enjoy the best golf in the area without leaving the neighborhood.